So Mayor John Tory is wondering whether the City of Toronto should start giving people who live in the central city the same sidewalk-clearing service it provides to those in the suburbs. We have three words to say to that: Just do it. Instead, as people slip and fall, ending up in emergency departments and casts, the mayor is simply calling for a review. Really? It’s the middle of winter. There’s no time to delay. Just clear the darn sidewalks. The right thing, surely, is to be fair to all taxpayers and plow sidewalks across the entire GTA. 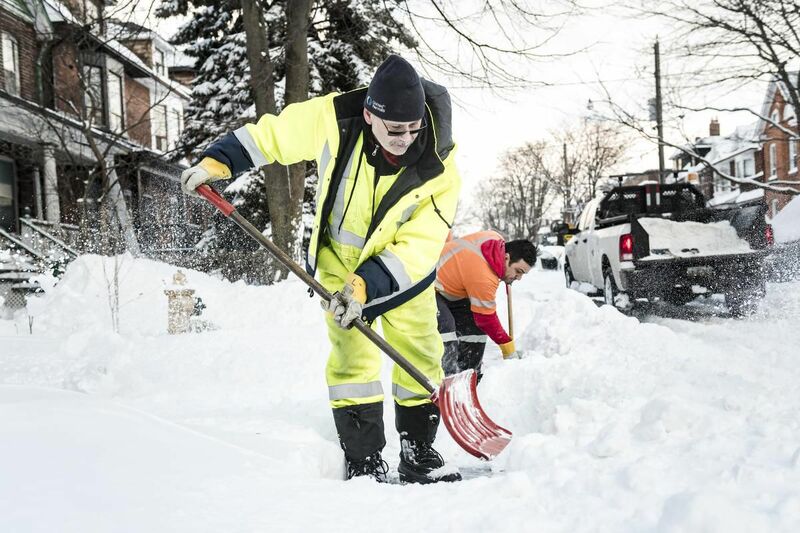 But as it stands, the majority of sidewalks that are cleared by the city are in the former cities of Etobicoke, North York, East York and Scarborough. That leaves those living, working and shopping in the central part of the city to fend for themselves. “The place where we have the most people using sidewalks, and where we have the greatest density of people, are the places where we don’t actually clear snow and ice from the sidewalk,” he points out. The city explains this policy with the untenable argument that it can’t plow sidewalks in the central core because they’re narrower and there are more obstructions, such as posts, barring the way. In reality, there’s equipment designed to clear every type of sidewalk; otherwise cities such as Ottawa and Montreal could not clean their walkways. But they do, and with a lot more enthusiasm. Ottawa, for example, clears its sidewalks under a triage policy designed to provide the most benefit to the most people. Sidewalks in the downtown core must be cleared within six hours of the end of a snowfall, while those on downtown residential streets must be cleared within 12 hours and those in other residential areas within 16. It’s true that senior citizens and the disabled in Toronto’s core can apply for city sidewalk clearing. But where does that get them? To the end of their property line. Other than that, they, along with many others in Toronto’s core who have trouble navigating frozen, slippery sidewalks, are shut in until the snow melts. Even those who can get out risk slipping and falling simply to trek to transit stops, work or the grocery store. Enough already. Bring in the plows.